Plastic ring size adjusters are an inexpensive and temporary solution to making the size of a ring smaller. You can usually ask your jeweler for them free-of-charge, or buy it online. Basically, how it works is you attach a plastic wedge at the bottom of the band; the thickness depends on the amount of sizing needed. This is a perfect solution for people who are prone to finger size fluctuations. This will make the ring temporarily fit until your fingers return to its normal size. Tip: A Plastic Ring Adjuster is only a temporary solution and is not advisable for long term use. As time goes by, it undergoes wear and tear thereby, making it susceptible to falling off the ring. 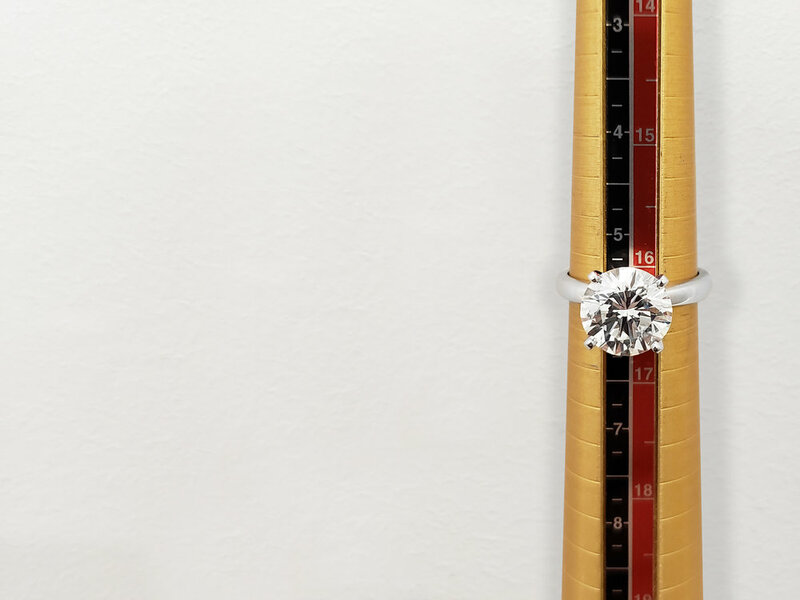 Without the plastic sizer, your ring could surely follow. If you do go this route, always check and replace the ring adjusters once in a while. If the plastic is already loose or freely moves around on your ring, then replace it right away. Adding sizing beads to your ring is a very simple process. The jeweler simply solders two small metal beads on the inside of the band. This is a great way to keep your ring upright on your finger. Sizing beads can be used to make the ring half a size smaller (maximum). This is the most common and inexpensive solution people get. A spring insert is also a good alternative for people with large knuckles. It is a thin metal band that is attached on the inside of the ring. How it works is that it flattens out the insert when wearing the ring and springs back into place, past the knuckle, as it sits on your finger. This can be a more comfortable alternative than the sizing beads and is also easier to put in. This is, however, a more complicated procedure and would require an experienced jeweler. 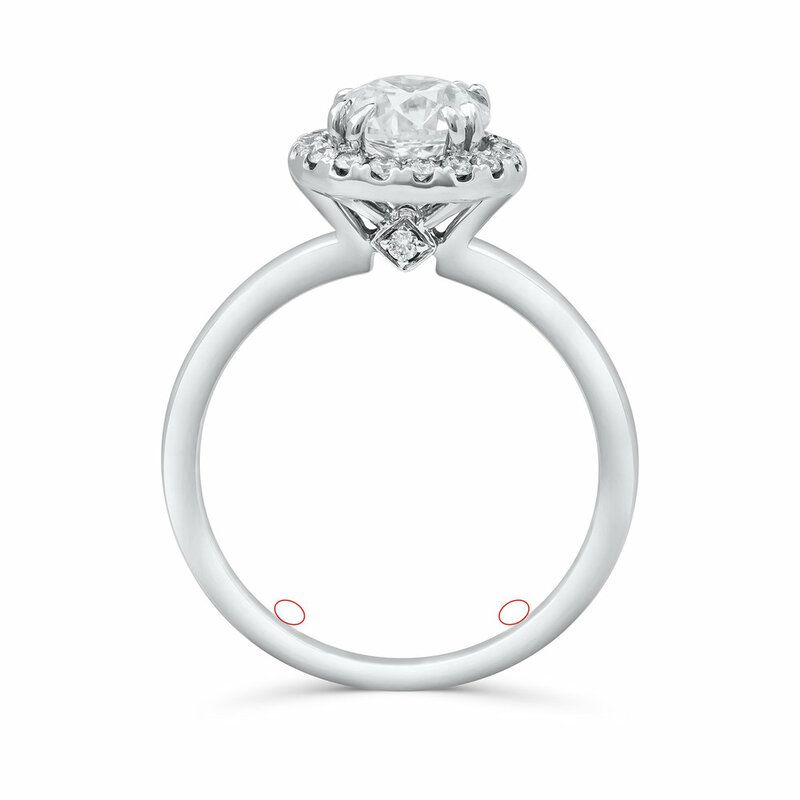 Sometimes, the ring size is perfect but is extremely difficult to put on or remove the ring. This could be due to large knuckles. If that is the case, then a Fingermate ring might be the best yet a permanent option. The jeweler replaces the band of the ring to a Fingermate shank. This gives the ring the ability to open and close at the bottom of the band for easy insert and removal on the finger. This is a difficult process that requires a reputable and experienced jeweler (not all jewelers can provide this alternative). It is also a more expensive alternative because of the amount of work an labor needed. There are no set standards as to what option is best. It all depends on the comfort, experience, and lifestyle, of each person. It is advisable to have an in-depth discussion about this with your trusted jeweler. This will also give you an idea of the pros and cons of each alternative and what best option they advise to you.